Games, Drills and Activities For Coaches And Parents. 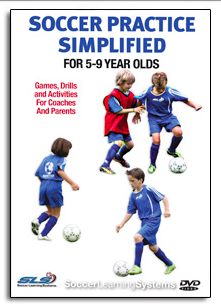 Designed to be a companion for the Soccer Practice Simplified book, this progressive program shows clear, concise examples of Warm-up games, technical exercises, skill games, coordination games, situation games. Used along side the Soccer Practice Simplified book, coaches and parents are presented with a progressive season long coaching methodology.